Summer is once again right around the corner, and as we watch the thermometer rise, one thing comes to mind: how am I going to keep cool? Air conditioning makes even the most brutal Florida or Arizona summers bearable. 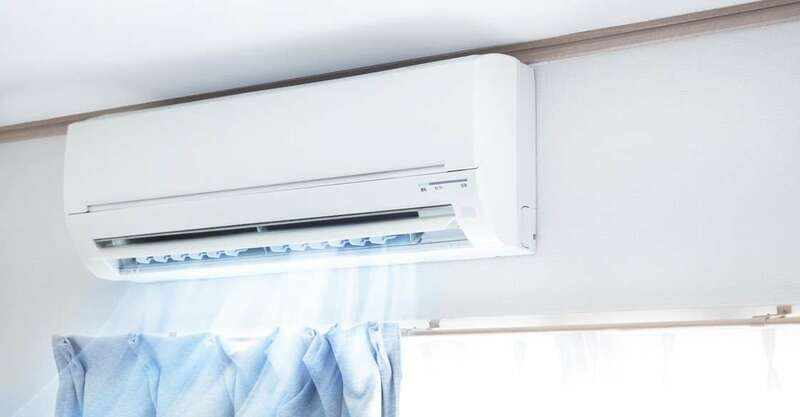 With this in mind, we have put together a list of the top five best central air conditioner brands so you can be sure that this summer you’ll be ready for any heat mother nature throws at you. Goodman tops our list of best central air conditioner brands as it has the best value and bang for your buck. It owns another high ranking brand in our minds, Amana. Amana is a very high-quality brand, but you probably didn’t know that Goodman uses the same components. This means you are getting an incredible deal on a reliable air conditioner. Bonus fact: they have one of the best warranties in case something should go wrong with the unit and also something to consider when buying new home appliances for your home. There’s a good chance you haven’t heard of them despite having some great products and customer support. But the same people who manufacturer their equipment also make Carrier (the inventor of a/c) and the products are so similar that up to a few years ago basically, four different brands used the same parts just with a different name badge. That’s right your Carrier was the same as Day and Night only just a few hundred or even a thousand dollars more! Availability may be an issue in your area so be sure to check that out before getting too excited. Bryant is another example of the best central air conditioner brands to invest in as it offers a premium quality unit at a reasonable price. In fact, they even utilize the same technology as Day and Night, but they are slightly more expensive hence a lower ranking. Like Day and Night, they may not be available in your area, but if they are you should pick one up! Mitsubishi ductless heating and air conditioning units are merely incredible and widely popular in Europe and Japan. The advantages of the ductless cooling and heating systems are great. When it comes to best central air conditioner brands they are incredibly efficient and reliable. The one problem is that they are indeed ideal for one or two room setups as you have to install each one in every room you want. In addition, each unit requires its own electrical and drainage so it can make installation a hassle. They are perfect for apartments or if you are trying to add a spot or two to an already existing system. We can’t make this list without mentioning to the most highly ranked brand in history. They literally invented the game. Their biggest problem, however, is price, so they just aren’t incredible value. That said, if the price isn’t one of your primary concerns, their high-end models are unbeatable and not available in the Day and Night or Bryant brand tags. With these best central air conditioner brands, you are sure going to be able to beat the heat this summer. Make sure you have a certified technician take care of your home’s air conditioning services so that the job is done properly and quickly and you can enjoy your beautiful, comfy home.